These sneaky pants look super classy but feel comfy like pajamas ... shhhhh, we won't tell. Pull-on wideleg pants features an easy-on, comfortable, knit waistband (skinny, regular or fold-over yoga-style). short length, capri length, and full length. Optional inseam or patch pocket options. This pattern is QUICK to make. The hardest and most time consuming part is printing, taping and cutting -- but it sews together fast. 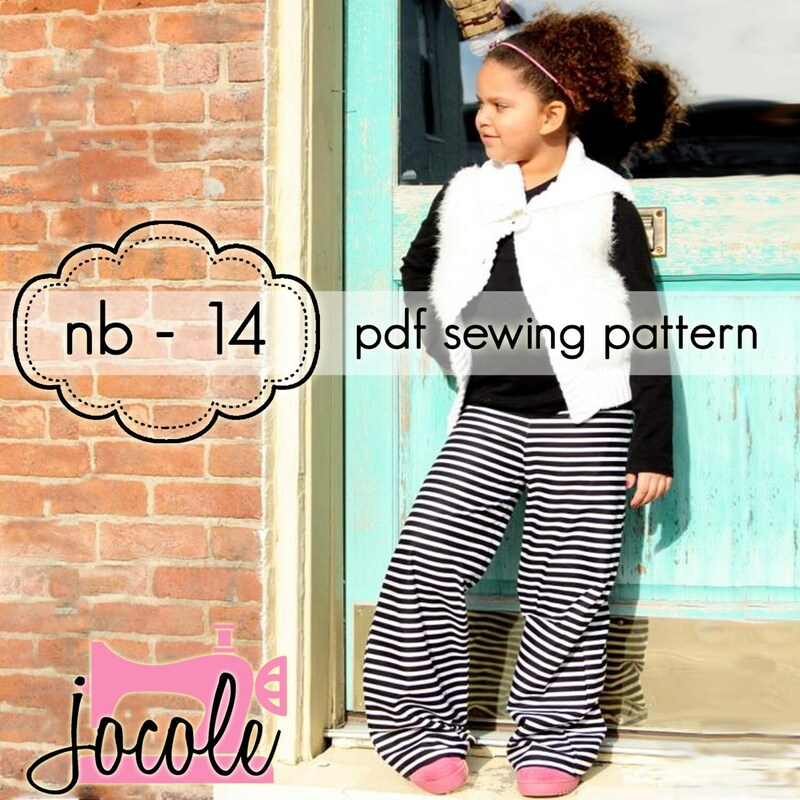 You will receive: ONE (1) pdf sewing pattern with 19 pages of step-by-step sewing instructions (24 steps and 47 color photos), or 3 page Quick Guide instructions for those who wish to save ink and not print pictures and 18 pages of patterns to guide you along as you make the Girls Wideleg Pants. ** Includes a clickable table of contents to make navigating through the pattern super simple with just a click.